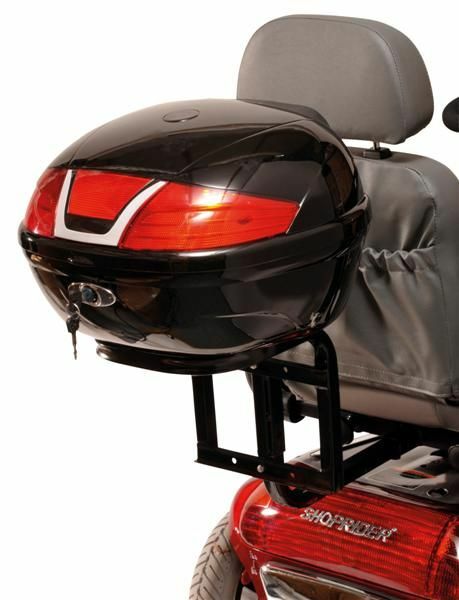 This rear scooter box is manufactureed from durable black ABS plastic with stylish reflective imitation lights . 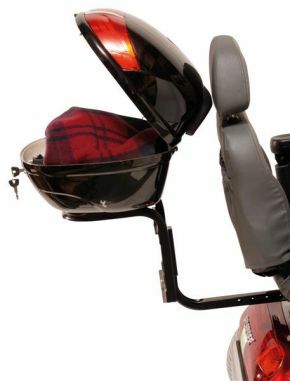 ABS is a tough yet flexible plastic that does not crack and will fit virtually all scooters. Bought this lockable box as both scooter bags I have dont have any loops or connectors you can get a padlock through to secure items left insde the bag, so I bought this box it was so easy to fit holds alot more than a bag and looks really good this was the cheapest box I found with tax exemption, cost more than a bag but holds alot more and is secure with a good lock, so thanks active mobility center for keeping your price competitive.